In a recent personal injury case, a collapsing residential style garage door at a company's loading dock resulted in severe brain injury to a worker. Upon inspection by an expert engineer it was noted that at the time of the accident the guide rails for the door were not parallel and several rollers were missing from their tracks. In addition, the existing bracing for the guide rails was inadequate for the stability of the unit and proper operation. 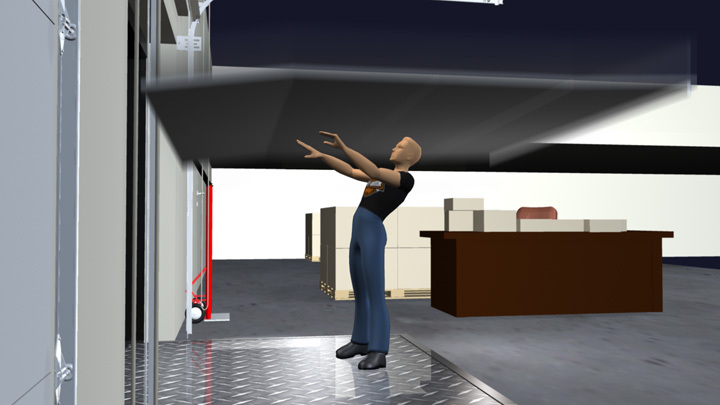 Using work area measurements, customer incident report, depositions, video surveillance and an expert engineer’s report, we created a 3D model of the loading dock area, garage doors and tracks in their proper proportions. 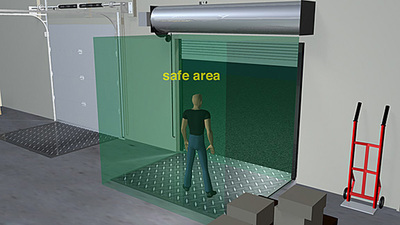 Time was taken to show preventive scenarios that could have eliminated the accident or reduced the worker’s chance of injury. 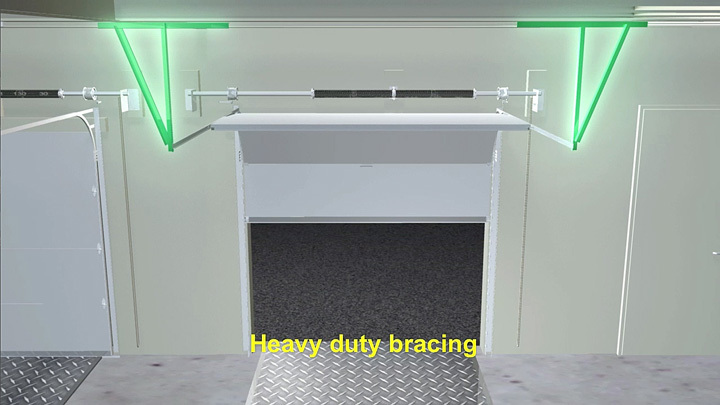 The expert's opinion was that stiffer industrial grade bracing and properly installed parallel track guides would have prevented this injury.